Winslow Holiday Tree from Christmas Past. Kick the season off with the Downtown Holiday Open House. Retailers will be offering a variety of specials. 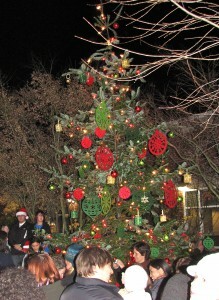 The fun will continue at the Community Tree Lighting Ceremony at 5:30pm that evening on Madrone Lane. Enjoy music by the BHS Band and Ovation! Glee Club. 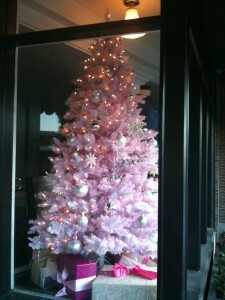 Special guest, Santa Claus, will be on hand to help light the 2011 Community Tree. Grandma’s Tree Farm provided this year’s spectacular tree. And tomorrow is Small Business Saturday – another reason to support local merchants! A day full of in-store specials to shop, stroll and mingle. You can turn the event into a date night by taking advantage of KiDiMu’s “Kids’ Night At The Museam” from 5:30-9pm. Visit kidimu.org for more information and reservations. 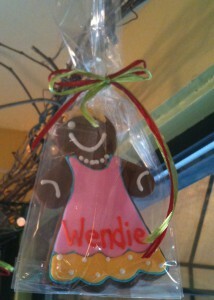 Blackbird Bakery Holiday Baked Goods. The Holiday Passport is back this holiday season. Pick up a complimentary Passport from a participating retailer. Collect a stamp when you spend $10. Collect stamps from 17 businesses in the Passport and enter to win one of four Downtown Shopping Sprees, each valued at $850. Visit Santa at Columbia Bank with your wishlist and have your annual photo taken. Bring a non-perishable food item or cash donation to benefit Helpline House. Holiday Sparkle on Winslow Way. This holiday season, a series of nine Giving Trees are located throughout Winslow. Visit a tree, pick up a “wish ornament,” and help make someone’s holiday a little brighter. After November 26th Trees will be located at: Columbia Bank, KiDiMu, Chase Bank, PrettyStick, Seabreeze Building, Sweet Deal, Winslow Green Gazebo, Winslow Mall, and Flowering Around. Each tree sponsors a specific organization. Who Is Buying On Bainbridge? I am well aware that although my website has a lot of information about Bainbridge, it also has a lot of information about me – blah, blah, blah . . . 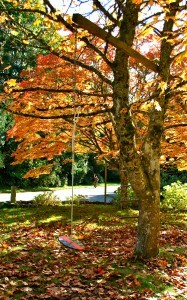 I think my life is pretty darn normal, but I hope it gives you the window into life on Bainbridge you are looking for. That is the basic goal of this blog, to provide the vista into Bainbridge Island life I could not find when I was researching Bainbridge from my laptop in California. But, after a flurry of recent closings this summer and fall, I started thinking about the similarities among many of my buyers. Many of my buyers come from my website and feel like they know me a little bit before we even meet. That is a great thing. But as someone who might be considering buying yourself, you might be interested to know what type of folks I work with and where they come from. 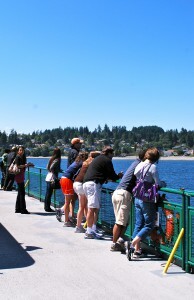 Folks riding the ferry from Seattle to Bainbridge. This category makes up the majority of my buyers. Some I start working with before they step foot on the island, others have been here renting for a few months. My perspective on relocating, the fact that I have young kids in school and that I am primarily a buyer’s agent appeals to them. Most of these buyers are second time buyers and most of them have purposely chosen Bainbridge and then looked for a job to get them here. Most of the families have at least one adult who commutes to Seattle via ferry on a regular basis. Most have looked at the East Side of Seattle as a housing option, but turned to Bainbridge for a smaller community, yet a strong school system. Many of these folks have come from California, southern and northern, a few have been from southern states and a number are from back east. A handful have been from Canada. Some folks have bought in neighborhoods in town and others have opted to purchase a home on an acre or so outside of town. Most folks have looked for this to be a 5-10 year home. As prices have declined, more of these buyers are first-time buyers, but the majority coming to Bainbridge are not. 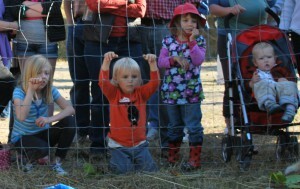 More and more I am working with families who have lived in Seattle for 5-10 years. Most have children just starting school and although they have loved living in Seattle, they aren’t excited about the Seattle School District. They want to keep their current job and look to Bainbridge for the ferry commute and a place where they can buy a home and get a little more space, both inside and outside. Most of these folks have owned homes in Seattle and hope to stay in their Bainbridge purchase for at least ten years. Bainbridge is not urban Seattle. Where the fast paced urban life is fun for some, it is exactly what some other couples are looking to escape. These couples are typically buying smaller homes (under 2,000 square feet) on lots one acre or larger. They are planting gardens and raising chickens. They love the trails and the peace and quiet of Bainbridge. For most of these folks this is not a first purchase and most commute to Seattle for work. 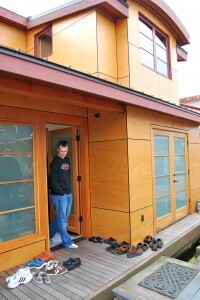 Second homes continue to be popular on Bainbridge. Again, ‘purposely choosing Bainbridge’ is a theme here. 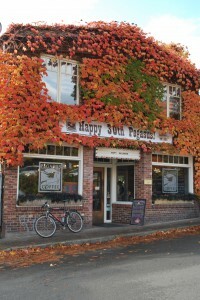 Many couples have looked forward to moving to Bainbridge after they retire. Many of these folks are downsizing from larger, maybe family homes into smaller homes, town homes or condos in Winslow. ‘Simplify’ is a word I hear a lot from these clients. They are happy to not take care of a yard and love being able to walk into town to catch the ferry, shop for groceries, or grab a cup of coffee with a friend. Investors are out looking AND buying. And lastly, as I mentioned in an earlier post, I am working with investors. These folks are purchasing homes to rent for a ten year horizon. Investors aren’t sitting back waiting anymore. They are acting. The rental horizon for the next ten years is solid and many investors are buying with cash and calculating that their income stream is better than the stock market. Many of these clients are on the island, but a few have come to me from my website too. All of these folks own one or two homes, but are looking for investment rental income. 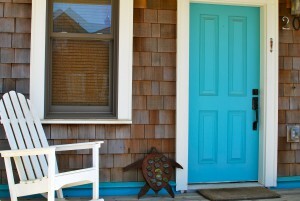 Newer homes in town and near the ferry are appealing, as are condos and town homes. And . . builders are slowly starting to ask about and look into buying vacant land, considering subdividing land and building spec houses. A good sign of things to come. I like/need to exercise and I prefer to do it outside versus a gym. I received a Bloedel Membership for my birthday this summer and have not used it nearly enough. So last week on one of our glorious sunny fall days (like today), I took my three mile walk through the trails at the Bloedel Reserve. 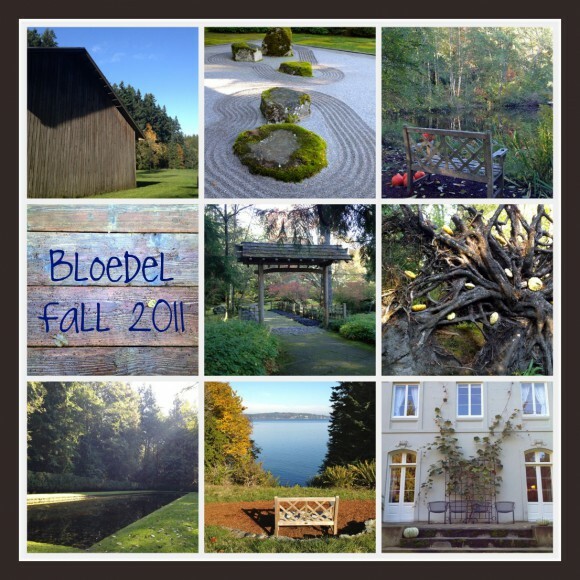 The Bloedel Reserve is great for nature lovers, gardeners, walkers, joggers, photographer, history buffs – there are so many reasons to go and enjoy the splendor that the Bloedel family developed. Bloedel is a 150 acre public garden that includes a Japanese Garden, moss garden, family estate home, reflection pool, ponds, views of the sound, wildlife, and more. Bloedel is glorious right now with all of the colors of fall, but I also can’t wait to see it with snow. And, the Magical Holiday Village and Model Train Exhibit goes on display December 4th. Click here for hours and admission/fee info. A membership is NOT needed, nor is a reservation. In the third quarter, we saw more of the same trends that have been in place since the start of the year. There continues to be a divide between our two primary markets and the line between them is neatly drawn at the $600,000 mark. Properties priced under $600,000 continue to sell steadily at a pace not seen since 2005. Properties priced higher are still struggling mightily, although there may be a glimmer of light on the horizon. Single family homes. In the first quarter of this year, single family homes sold better than they have since early 2007. The wheels fell off during the second quarter, and sales of these properties dropped below where we were mid-year 2010. Things rebounded in the third quarter and rose to meet last year’s Q3 numbers, which means sales surpassed the 2008 and 2009 third-quarter sales. The $400K sweet spot. While the $600,000-and-under market has been our strongest this year, this recent surge has been powered by sales at or below the $400,000 mark. So far this year, we’ve closed 67 homes in that category, which is the best we’ve done in that price range at the close of Q3 since 2005. Our enthusiasm for these numbers is tempered by the softness in the rest of the market. In our first three quarters, we had 56 homes sell for $600,000 or more. To put it in perspective, in the first three quarters of 2007 there were 183 sales in this price range. That period in 2007 exemplified the peak of the “multiple offers” frenzy, but even in the more sedate year of 2005 there were 150 sales through September over $600,000. Pricing statistics: It makes median and average price numbers very misleading when you apply them to a particular house. The average/median price numbers are down 11+% from last year. We believe that the number is too high for the active market less than $600,000 and unfortunately probably too low if your home is priced over $600,000. Pricing strategies: Each home has to be viewed in light of how much competition there is, how good the competition is, how many buyers are perceived in that particular market segment, the timeframe the seller has to sell, and any external factors (such as a loan that would end up greater than the price level required to sell a home and the seller’s willingness to go down that road). Days on the market: Sellers of homes priced less than $600,000 are looking at a cumulative days on the market (CDOM) of 75 days. For homes priced over $600,000 the median is 117 days. There have been segments in our market where the evidence indicates that there simply weren’t any buyers, or very few, for a period of time. Re-categorization: The reality of this market is that many homes previously categorized in higher pricing segments (even as high as the $800,000 range) are now falling into the $600,000-and-below column. The whole middle of our marketplace has become more affordable through this correction, so it would make sense there are more sales in those price ranges. The upper end: We’ve concluded that the lower end of the market is doing okay. But what’s going to happen to the $600,000+ market? The good news is we are seeing a gradual improvement. On August 1, there were nine pending sales for homes priced above $600,000. One month later, there were 11 more. At the end of September, there were 13 more. This upward trend is encouraging. Leading the way: Having one segment of our marketplace exhibiting as much strength as it is has to be viewed as a very positive move in our road back to normalcy, whatever that turns out to be. Now all we need is continued momentum in other segments.